The College Hub will be a new building for Kellogg College, the University of Oxford’s largest and most international graduate college. It is to be located centrally in the grounds and will provide Common Room and Café facilities. The building will be the first in the University of Oxford to make use of the high sustainability Passivhaus design approach. 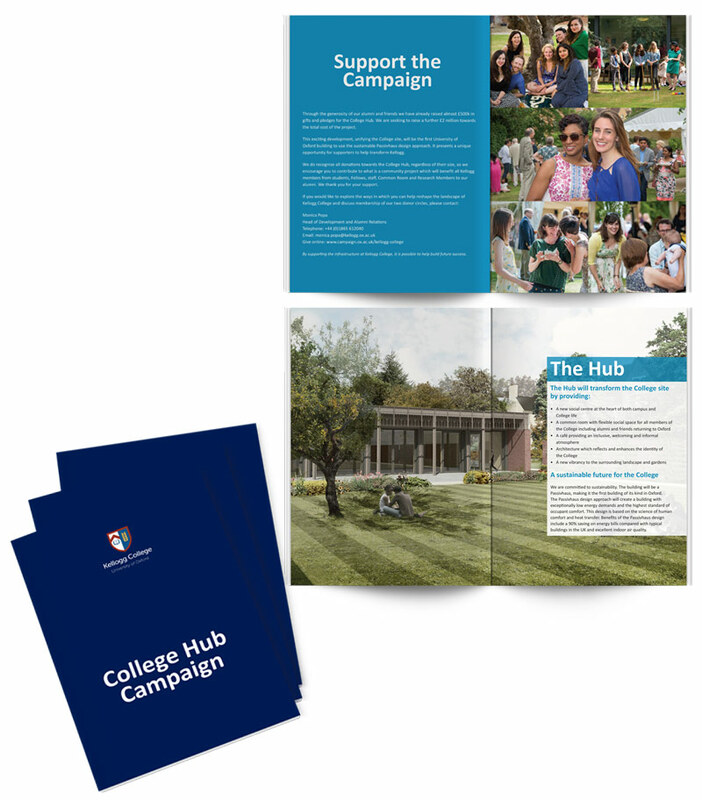 I designed the promotional brochure to provide information about the College Hub campaign, and to generate interest and development opportunities around the initiative. The image-heavy design puts the new building architecture, and the people of Kellogg College, at the heart of the campaign.